Choose your minister from our list below. We offer a variety of officiates and can accommodate jewish, catholic, christian and other non-denominiational traditions. Not religious? We have that too. Call Mark at 808-268-8339 to request a copy of your favorite ministers vows. .
My name is Reverend Marian Hughes. I am an ordained, non-denominational minister registered to perform weddings in the state of Hawai’i.I have been a minister since 1980 and have officiated at a number of weddings for friends and relatives on the Big Island. My philosophy is to work closely with the bridal couple to personalize the ceremony according to their traditions and spiritual preferences. One of our happiest and joy filled ministers. Patrick is sure to make your wedding memorable. Rev. Jerimiah brings a god oriented ceremony to your Hawaii wedding. 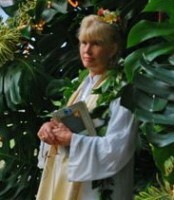 Still encompassing many of the Hawaiian traditions while performing a traditional Christian wedding, Rev. Jerimiah will surely please. Our favorite Oahu Minister. Rev. 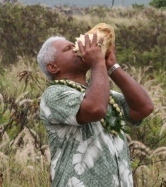 Rick moved to the Big Island and is a non-denominational minister and has been performing weddings, renewal and commitment ceremonies for 17 years and for the past 6 years on the beautiful island of Oahu .Specializing in spiritual ceremonies, blowing the conch shell and performing a Hawaiian prayer if requested. Japanese vows (in Japanese) may also be performed upon request. Rev. Dave Heaukulani is your Hilo area Wedding Minister. Traditional, religious, secular, civil union, or customized weddings to fit your needs. Hilo or anywhere for your Big Island wedding. I am very open to change anything, by adding or taking out. I just want to say this is your day, not mine and I will do everything to make it as special as possible. If you are interested I have a musician that can sing English or Hawaiian songs, play the guitar and also the ukelele at your destination wedding on the Big Island . I also have a photographer to offer. I have done weddings from the simple–just the bride and groom on a beach at sunset–to more elaborate weddings with music and videographers. It’s your wedding, so let me know what you want and I’ll help you make your Hawaii wedding ceremony a reality.